The Honest Kitchen is the world's first pet food to be made with all human grade ingredients in a facility. They steer-clear from highly processed ingredients and instead use vibrant whole foods. 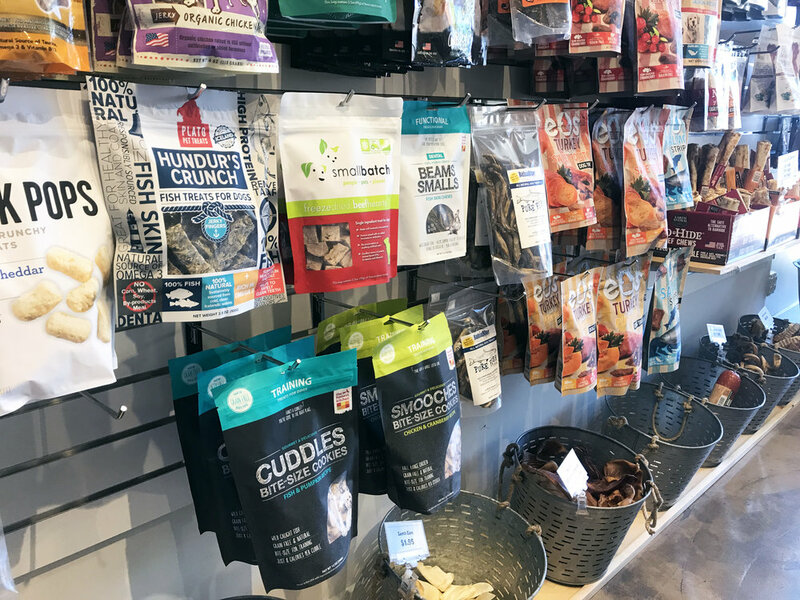 Our team was tasked with a re-design of their treat line with three core categories—Training Treats, Anytime Treats and Functional Treats. A system was developed to tie the entire treat line together, while using background textures to distinguish between the different categories. Playful illustrations of dogs and bright colors help bring the vibrancy of The Honest Kitchen's foods and personality to the forefront.